You make a great point about themeless storytimes being closer to what parents actually do with their kids! My reasons for going themeless were purely selfish (I do not have time to find a million elephant books! 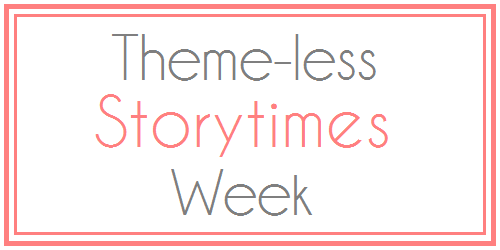 ), but I love the idea of presenting themeless storytimes as a way to model to parents what they can be doing with their children.